Maj. Nidal Hasan is accused of shooting 13 people to death at Fort Hood in Texas. 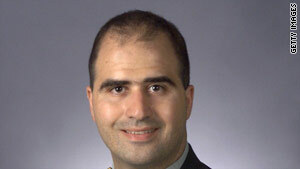 Fort Hood, Texas (CNN) -- A judge on Tuesday granted a defense request to delay the Article 32 hearing of Maj. Nidal Hasan, the Army psychiatrist accused of killing 13 people in a November shooting spree at Fort Hood, Texas, until October. Hasan made his first courtroom appearance in connection with the case Tuesday. The hearing was the first part of an Article 32 hearing, the military procedure similar to a civilian grand jury, for the case being built against him by the Army. Hasan uses a wheelchair after gunshot wounds he sustained in the November 5 incident. He wheeled himself into the courtroom, wearing his Army fatigues. He wrapped himself in a blanket during the hearing. Hasan offered short answers to questions posed by the judge, Investigating Officer Col. James Pohl. Asked whom he wanted to represent him, he named his three attorneys. Hasan appeared calm throughout the proceeding, at one point cracking a smile while speaking with his attorney. Security for the hearing was tight, with nearby streets blocked off and bomb-sniffing dogs present. Reporters went through two layers of security. The only people present at the hearing besides the media were legal assistants. Most of the hearing revolved around evidence Hasan's attorneys have asked for in the discovery process, the routine practice that is part of every criminal case, be it civilian or military. Hasan's lead civilian attorney, John Galligan, a retired colonel with three decades of experience as an Army lawyer, has asked for everything from DNA test results to crime scene video to copies of investigations of the shooting ordered by President Barack Obama. Last week, the Army delivered 2,000 pages of documents to Galligan, but many of the items he requested are still not available to the defense team, Galligan said. Video: Do Muslim soldiers face persecution? For example, dozens of shots were fired that day on the sprawling Army base in central Texas. Galligan asked for "records of the measured angle of each trajectory, showing the trajectory from each bullet hole to the shooter's position." The Army said in a court document filed in response, "There are no documents of files of items responsive to the defense request at this time." Galligan also has asked for all e-mails between Hasan and Yemeni-American cleric Anwar al-Awlaki. Prosecutors agreed Tuesday to release them to the defense. Defense attorneys also are requesting some classified documents. Prosecutors said Tuesday they are in the process of attempting to de-classify them. Pohl granted defense attorneys' request for the delay, although prosecutors said they would be ready to present evidence at the Article 32 hearing in July. Galligan's request makes clear that his defense case will delve into what happened before November 5. Hasan's lawyer has asked for reports of inappropriate or substandard work by Hasan while he was training at Walter Reed Army Medical Center in Washington. Unlike a civilian grand jury hearing, Article 32 hearings involve both the prosecution and the defense, and witnesses are questioned by both sides. Galligan earlier told CNN that since the entire defense legal team, which includes Galligan and two military lawyers, has only met with Hasan once, the team needs more time to help build a case for him.